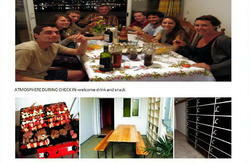 Hostel Villa Angelina Old Town is all about location. As the name suggests, this hostel is just inside the city walls of the Old town, a lively area of cafÃ©s, bar, shopping and beaches. Game of Thrones second episode of 4th season was filmed right in front of Hostel!!! 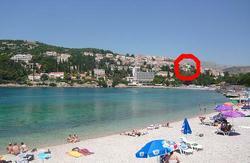 This is the perfect place for young backpackers wanting to experience the heart of Dubrovnik. Being designed with traveler in mind, this hostel is a right place for your perfect stay in Dubrovnik! It is one of only 3 hostels in the Old town, (within city walls). Staying here you will have endless possibilities to enjoy within walking distance as the hostel is situated seconds from all attractions of Old town of Dubrovnik. Our guests say we offer great value for money, you will not have any transport costs as EVERYTHING is within walking distance! We offer free Wi-Fi, free linen and soft towels, free luggage storage and lockers, also all rooms are air-conditioned. We have big fully equiped kitchen where you can make some delicious meals - a perfect place to meet other travelers! You can enjoy amazing view over red roofs of the Old Town from beautiful terrace! Our kitchen is fully equipped which enables you to prepare your own meals and it is also a great place where to socialize with other guests! Supermarkets are less than 1 minute walk from here and guests can access the kitchen from 07h00 to 23h00. Our friendly staff will be pleased to provide you with valuable insider tips and answer any of your questions when you arrive to make your visit a great one. We are here to help you with booking your bus tickets, excursions and other activities! We are less than 1 MINUTE walk away from the famous main street Stradun, packed with trendy pubs, clubs, cafes, fancy restaurants as well as cheap eateries. Only three minutes walk away from the Pile Gate bus station and 4 minutes from Airport bus station, we provide an ideal base for exploring Dubrovnik's rich past as well as its vibrant multicultural present. 3 local beaches can be reached within a 5 to 10 minute walk. Many restaurants, local open air market, super markets, pharmacy, post office and exchange office are at glance. Guests can enjoy a stroll along the Stradun (main street), have a ride in a cable car and admire panoramic views of the city or take a kayaking tour around city walls. Stay in the centre of all happenings, stay with us! We hope to make your stay a great one! We would like to take this opportunity to thank you all for your comments and your support as we value each and every one of them and we would like to make Hostel Villa Angelina Old Town your best stay ever. Once you leave the bus, do not enter the Old town on the door 'Pile gate'(west entrance - because you will have to do mays stairs if you enter here) but continue to walk along the outside of the walls, to the north entrance of the Old town that is called 'Buza gate', and enter the Old town. When you enter Old town through Buza gate, take first street to the right which is called Peline street. Keep walking up the Peline street, pass by the restaurant Lady Pi-Pi (which is closed now in low season - but you can see there is fountain with lady pi-pi in front of restaurant) , 20 meters after passing the restaurant Lady Pi-Pi, turn to the left in street Plovani skalini. We are located at No. 17/A, (30 steps downwards).